Home › Reviews › Is Postloop A Scam? PostLoop has been shut down as of November 1, 2016. In its place, a new and better site has taken its place, ContentGather. You can read my review here, ContentGather Review. Get Paid for writing comments in blogs and forums? Is Postloop a scam? What is Postloop? Well, I hope to answers these questions within my Postloop review. Let’s get started by looking at what Postloop provides, Postloop is a website company that pays you for posting or commenting on forums or blogs. This might be a new concept for most people to understand. You can either post on forums, websites, or blogs. The owners of these websites are looking for traffic or an increase in forum comments for Search Engine Optimization (SEO). Search engines love comments and reward sites with a higher ranking for engaging comments. I also just finished two other reviews on companies similar to Postloop, they can be found here, Is The Forum Wheel A Scam? & Is Forum Coin Legit? How this works is by the owners of these site pay Postloop for comments to their sites, which in turn Postloop pays content writers for their comments that are approved. This is the way, content writers can earn money just by posting comments. Pretty simple. It’s a great concept and an easy way to make a few bucks or increase comments to a blog or forum for website owners. It’s a win-win for all three parties. It supplies owners the opportunity to increase traffic and attract more visitors, meanwhile providing a source of income to content writers looking to make some money from the comfort of their own homes. Postloop is the essentially the middleman, providing the platform and also providing the exchange of funds for services. With almost 4,000,000 comments or post provided at the time of writing this, it is truly being used to make money and provide a service that is needed to owners of websites and blogs. Once you set up an account you are then advised to Edit your profile at Postloop. You enter basic information about yourself and to check up to 7 interests from their list to which you can write content for. Then you must sign up for The Postloop Portal, this is different from Postloop.com. Postloop Portal is where they are going to evaluate your writing and grammar skills. Then once you successfully signed up, you must submit 10 test post for approval, and once these are approved, you are allowed to start posting and making frogskins. Make sure you subscribe to The Postloop Portal before you start posting and that you are approved. This can be checked by going to Dashboard then clicking on Subscriptions to see that you are subscribed to The Postloop Portal. Postloop says it takes up to 24 hours to be approved, so be patient. At Least 4 or 5 sentences long. Proofread it before you submit it. Make at least two new threads along with your 8 replies. After Postloop has approved you, you can subscribe to forums. You can join as many as you want after your approved. Then start posting. Important tip, before you start posting you must first join the forums or blogs, and then you can start posting and earning. From the list provided by Postloop, you can join by creating an account there. Then you link that account to your Postloop account by clicking on the subscribe button. Then you are free to post. You can find the Deposit/Withdraw page under my dashboard, then under Deposit/Withdraw. Basically it $.05 per point earned. It takes up to 24 hours before you are paid. Only Method of payment at Postloop. 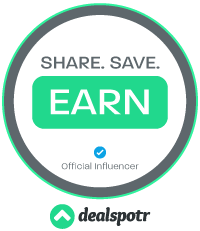 Postloop claims on average, content writers earn $0.07 per post or comment and as high as $.0.12 for the best writers. Must have a minimum of 100 points to withdraw. Which is $5.00. User average must be higher than the average user to withdrawal also. As of writing this, it is currently 3.21. In your profile or dashboard, you can view your Rating. The rating scale is 1 thru 5, with five being the best and one the worst. The higher the rating, the more you are paid. They pay you via PayPal. I love PayPal because it’s fast and secure. This is the only method of payment, so you must have an account in order to withdraw. Postloop has an active referral program. Here is my Postloop referral link, if you enjoy this review, you can sign up under me to help support my site. You will earn 20% of all points your referrals make. Which makes another good way of earning on Postloop. A lot of variety of different forums and blogs from which to choose to submit to. Variety is the spice of life. With over 100+ blogs and forums to choose from. Content writers only need to do the initial application process to start posting and earning instead of applying for a job a task. So get through the setup, and it’s a lot easier. Work at your own pace. No limits or restrictions. Postloop accepts content writers from all countries. Great way to earn as long as you have good English grammar. The ability to receive bonus points for a high User Rating. See above Rating System and Bonus Points. No age limit, great opportunity for young teens to make money from home as long as excellent English skills are possessed. The owner is active on forums and can be seen quite a bit. Reassuring. Confusing signing up, as I found myself having to really struggle to figure out how to sign up. You are limited on the number of times per day that you can post in a certain forum. This number is usually around 5. Many forums have a minimum rating to be able to post to them if your rating is lower than the minimum your not able to post. A rating of 4 is the usual requirement. The site said applications are not currently being accepted but I was still able to join. Again, confusing. Not accepting applications at the time of this post. You can also see the lock which I circled in red, it should be a picture of a person when available. I was still able to apply and be accepted, so I am left feeling confused. Follow the forum rules to the Tee. This will allow your rating to continue to grow and to increase the amount you are able to earn. Higher rating = higher pay. This can be found as the blue circle with the I in the middle of it. You should read this before posting. 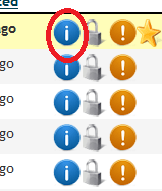 Click the blue circle to find out requirements of forum or post. I might be guilty of this sometimes, and you’re not writing an essay, it’s a forum, so act natural and have a little fun when you can. Make sure your post are quality posts. A good rating is crucial to making more money. Don’t spam or make rude comments. Obvious, I know but needs to be said. Post to topics that are interesting to you. This will help you come up with a lot to write about. Don’t just reply, create a thread or two. Try for like 20% to make new topics for discussion. Read the requirements before you subscribe and keep you getting higher ratings. Never ever mention Postloop on any forum. This is highly frowned upon because it might be a black eye because the website is paying to have people post on their site. If you have the minimum amount to withdrawal (100 points = $5.00 min. ), withdraw it because your user rating may slip in the future, then you are unable to withdraw until your rating is above the average rating. Take your money as soon as you can. You can earn more points by spreading your post out over a period of time, rather than binge posting. Upload an avatar to your profile. Makes you look more professional. Stay on the topic don’t talk about something unrelated to what the post is originally about. If you enjoy the concept or want to find other companies that offer the same opportunities, I have compiled a list here. The Forum Wheel – You can read my review here, Is Forum Wheel A Scam? ForumCoin – You can read my full review here, Is Forum Coin Legit? BlogMutt – Is BlogMutt A Scam?, this is a great site that treats writers good. iWriter – Read my full in-depth review here, What Is iWriter? BlogMutt – Read my review here, Is BlogMutt A Scam? Postloop is for anyone looking to supplement their income and enjoy working from the comfort of their own home. As with many of these work from home sites your not going to get rich by doing them. There is currently no age limit at Postloop and is a great way to make money for young kids or adults that are looking to make a few extra bucks. There is no current training offered at Postloop, so I hope you paid attention during English class. As the skills learned there will help a lot. They give you the basic information to help you post correctly to forums and blogs, but that’s about it. Postloop has a Support Forum…oh nooooo, not another forum, but ahh yes, you can find many helpful topics here and the ability to find support. Is Postloop a scam? Postloop is not a scam. Postloopis a good way to earn extra money for someone with good English writing skills. They do pay, and it’s pretty fast to receive payment. 24 hours or less. I find posting on forums and blogs more enjoyable than filling out lengthy surveys. I believe in doing what is enjoyable rather than soul stealing drudgery work. As you can pick what forums or blogs to comment on, choosing what you’re interested in and maybe even learning something. This would receive a higher ranking if they paid more, but the pay isn’t that bad for the work you are doing. I recommend at least trying it to see if you like posting to forums or blogs and being paid to do so. ‹ Is instaGC A Scam? I’ve never heard of this before. A very thorough and well researched review. Sounds like a very legitimate company where you can earn some cash. Hey Ray, thanks for the complement. Yes, I spend a lot of time researching and writing and actually using the researched site to find out if it’s a scam or not. Also, for tips on using the site. I believe some of my best insights are found by this method. They are totally legit and do pay. I would really recommend this site if you want to earn some extra spending cash. Granted, it not going to get you rich. Take care and peace. Postloop is not a scam. I have been working with postloop for the last 1 month and I have been getting paid regularly. I have payment proof. If any body want to see the payment proof from postloop and from paypal – than I will show you about the proof. Kindly reply me and I will get back to you. Thanks for sharing your experiences Masudau. Yes, it is not a scam. A very trustworthy company in my honest opinion. This is one of the worst, most dishonest sites I’ve ever had the displeasure of working with. First off, the infrastructure is outdated. It’s firmly rooted in 2005. That’s annoying, what’s detrimental is their business model assumes the SEO tactics that worked in 2005 work today. They have NO, 0 modern business practices and thy do nothing but makes excuses for why they can’t update. There’s no reddit posting. There’s no social media posting. You know, the things that actually matter from an SEO stand point. Furthermore, if you are even slightly critical of them they will blacklist you from speaking int he forums. Writers beware, for sure. But most importantly, forum and blog owners beware. This site will take your money and provide basically nothing since their approach is outdated. You’ll get a few posts, sure, but it’ll do nothing for you. Avoid postloop like the plague. I hope you seriously take a look at ContentGather, as I find it a very legitimate method of earning money online for writers. They made the switch over for many reasons but the most important one is the owner wanted to take the business in a different direction than Postloop objective.